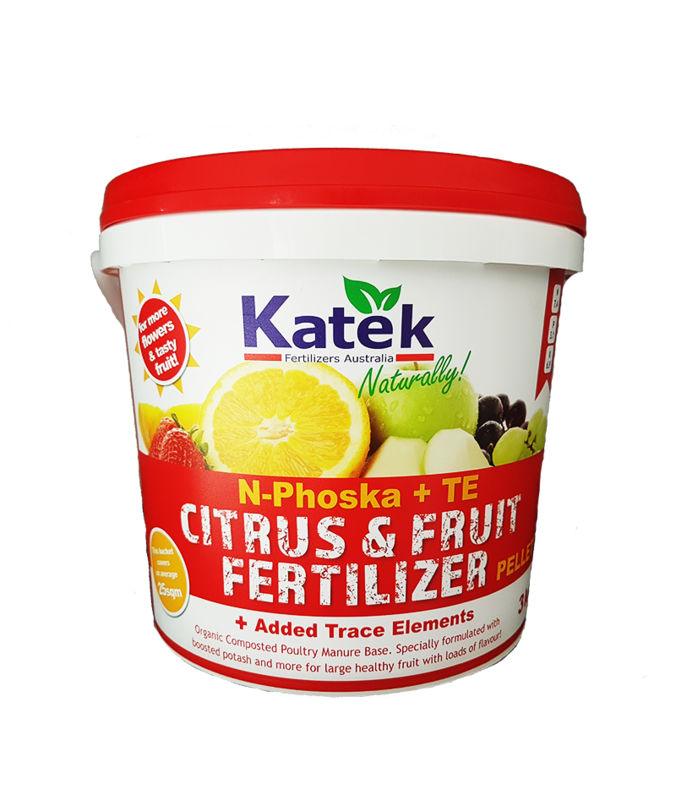 The 3kg Bucket N-Phoska + Trace Elements Citrus & Fruit Fertilizer Pellets is a completely enriching organic fertilizer formula based on composted poultry manure boosted with potash and more, for growing an abundance of large, healthy fruit with loads of flavour! 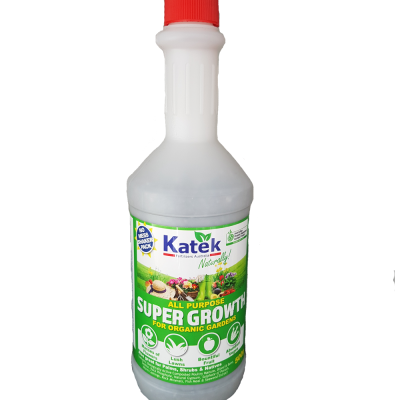 We have improved on the popular product used by many gardeners by adding Potassium and some slow release Phosphorus to carry the crop right through to harvest. 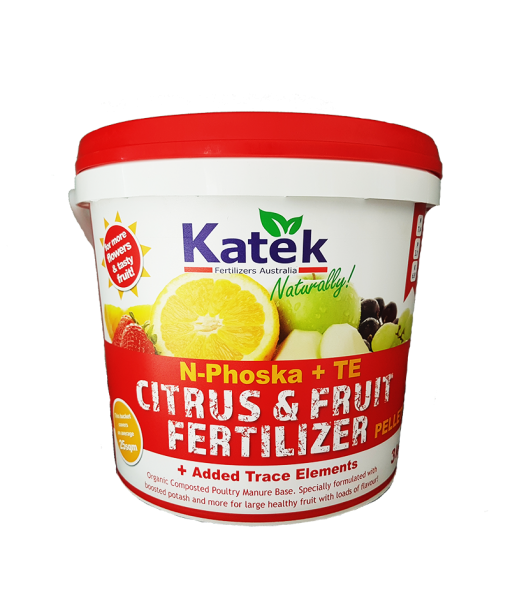 Added trace elements such as Calcium, Magnesium, Zinc, Copper, Boron, Manganese and Iron make our Citrus & Fruit fertilizer the best choice for your fruit crop! 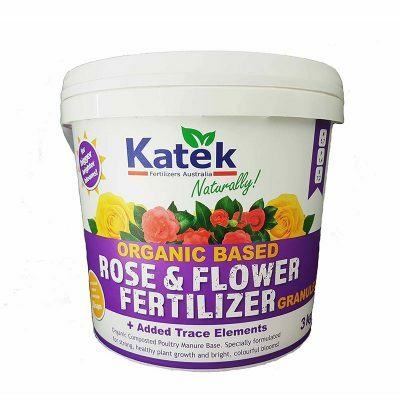 For use on vegetables, flowering plants, citrus and fruit trees. 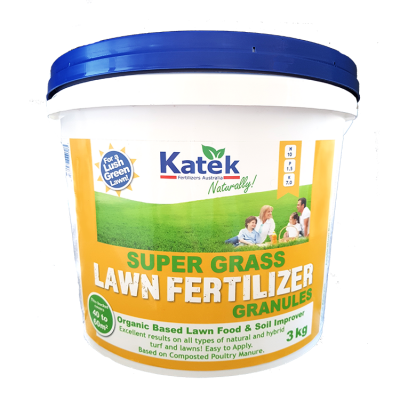 Our Citrus & Fruit Fertiliser is available in a 20kg bag. 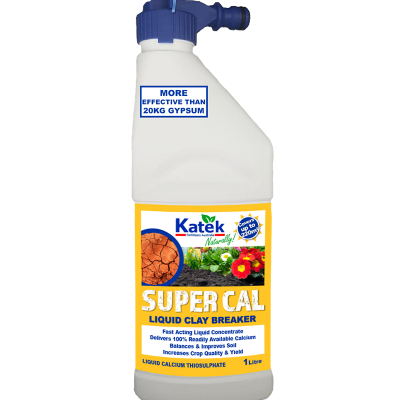 We even have bulk product for larger applications. If you need the larger sizes, we have retailers all over Australia who can help you. Because this is a new product, your local retailer may not currently stock it. We recommend giving your nearest stockist a call to see if they can order it in for you. Head to our Where to Buy page to find your nearest stockist.